I'm a fan of Tricia Gosingtian since high school. I admire her works at Deviant Art and came to know her as Slumberdoll. 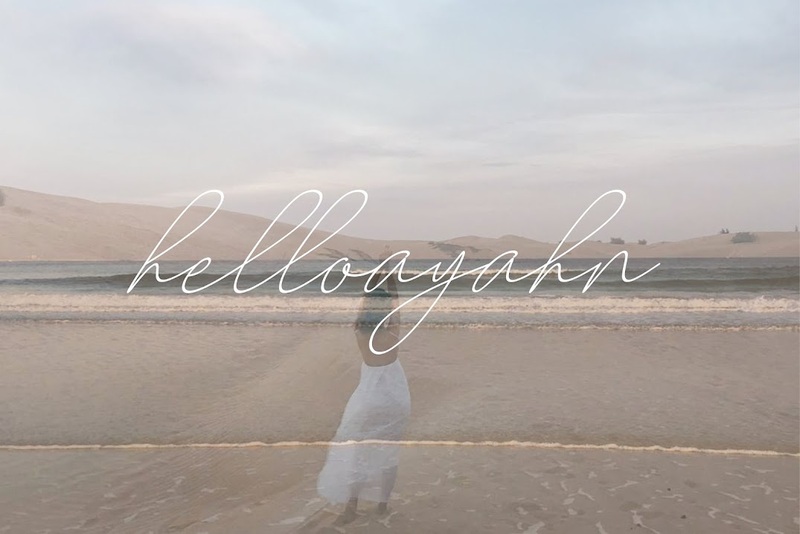 (I love her screen name) The art she created on photos is truly an inspiration to me. This lead me the desire to do photography. (But photography doesn't like me that well, I was just pushing the passion, taking portrait photos and random things in life) I started to view her works every now and then and later on checked her lookbook and blogsites. That's how I was introduced in the blogging world, though she's not aware about this but she's the one who leads me to blogging portal. She's the kind of Influencer I looked up to not just because her name is good all over social media. I like her because the way she presented herself to the world is pure and humble - got it proven when I met her in person. Her style is exactly like what I'm in to, A touch of Japanese and Korean fashion, with a sweet preppy chic yet sophisticated style. I can also relate on some random facts about her, like she's talking in behalf of what I wanted to say about myself. It was a cramming days for us since it was thesis season, As graduating college students, we are expected to be more stress and busy for school works. But my so called pakner in crime and I got a deal that day. It was Tricia Gosingtian's last book signing at National Book Store MOA, which I don't want to miss! At the same time it was Pyrolympics schedule of my friend's bet country. We escaped the class meeting and didn't went to our class head quarter in Quezon City. Instead from PUP Sta Mesa we headed to Mall of Asia, Thank you for the ever supporting PNR train (you never fail!). I'm not sure if our class found out our sweet escape but I think they knew it then, We posted photos of the events on Instagram, anyway. lol. That was long time ago, They didn't get mad on us, They're good classmates after all, move on na, it's 2017. 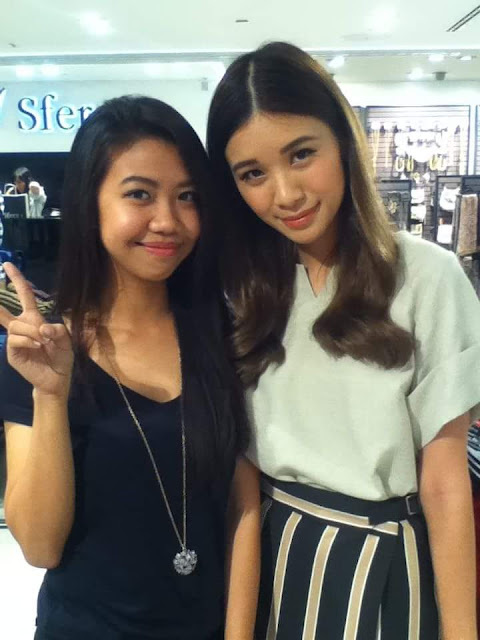 Grabbed photo from Tricia Gosingtian's Last Book Signing Post on her blog. (had a hard time finding my photo haha) I obviously looked like a takas- just ran over the event with my messy hair and exhausted self with ever supportive tired friend sitting alone on the background. Coz yep, last minute fan girl who came. Evidently, I wasn't able to prepare myself. I met Tricia with my messy hair or should I call it a whole messy human that day! Blame it on the rushed mission we had. From School cramming, to train battle and we're running out of time! Thankfully, we reached the book signing before they cut it off. It was all worth it. 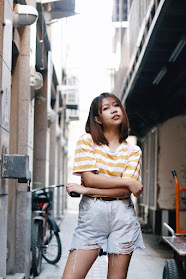 She gave me a sweet smile like on her ootd photos and a little conversation. It was my first time to do a fan girl thing. I mean the literal fan girl who will do everything just to fulfill the meet and greet dream! Low quality photo of me and Tricia way back 2014! I was starstruck. I wasn't even able to dress up and fix myself that day. I'm in between shyness and happiness. My second time to see her in person was during our Store 2015 event. This is my first event with Sfera and I'm glad she's one of the ambassador! I remember, I was assigned with the distribution of invitations, I "carefully" handle the invitation and put it in a parcel after I saw her name on it. My joy is about to burst even it is just a name on a special paper. (Barbies, you will understood once you're on your fan girl mode on) My office mates found out that I'm a huge fan until it reached our senior manager. That's why during the event, I was able to have a photo with her again. Even though, I'm in charge in the model's wardrobe that time, My Senior Manager called me and introduced me to Tricia! She even insisted to take the photo. Yep I owe her this one! I'm so kilig. Well, my bosses are really nice, kind and humble too. I am indeed surrounded with beautiful people with a heart. I'm shy because aside from this photo was taken by my boss, it's also working hours for the event yet here I am - fan girling! Now that she's happily married, I'm still looking up to her. She's a true inspiration especially for the millennials. The way she kept her family values reflected on how beautiful she is inside and out. I never knew her personally but of course, Social media and articles will give you an idea/feels, and my heart say so that she is. All my friends and people close to me knew how much I admire her. That's why when it comes to Tricia, they're all supporting me with my fan girl moment. Big thanks to them!